ALLEGRA BOVERMAN/Staff photo. Gloucester Daily Times. Gloucester: Almost 60 girls participated in the Gloucester Cheer Mini Camp this past week and they held a show for parents and friends on Thursday at the Gloucester High School field house. 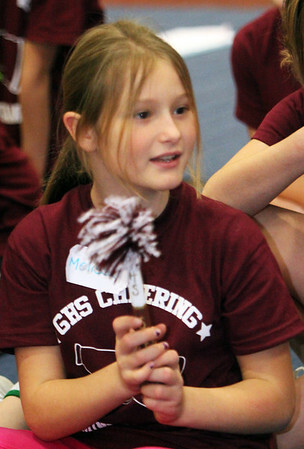 Participants received handmade spirit sticks, including Melissas Ciaramitaro, 10, who got hers for being the loudest. Other categories included most reliable, most improved, unsung heros and so on.